Please note if your shoes are a half size you need to round down to the smaller size, so for example if your shoes are a 10.5 you would need to order the size 10 shoe tree. Genuine cedar wood shoe tree 100% made in England. Available in whole UK sizes. 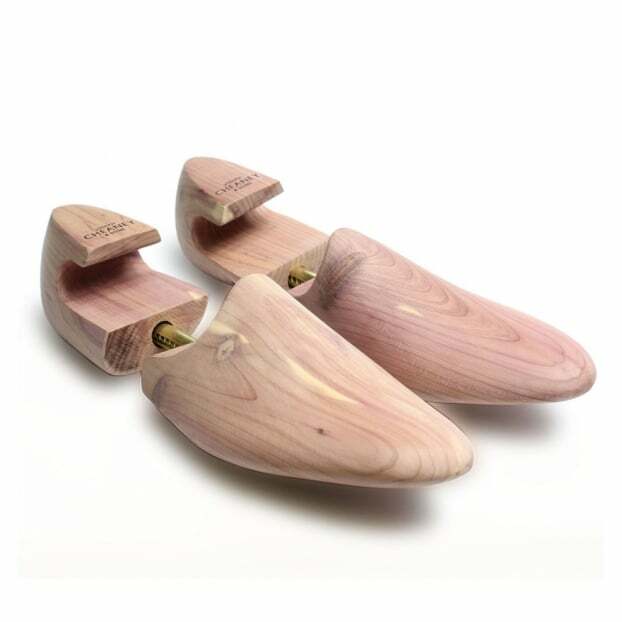 The use of quality wooden shoe trees is the most important thing you can do to maintain a good pair of leather lined shoes. The absorbent material such as cedar absorbs perspiration from the lining of the shoe, keeping it from cracking while helping to reduce the creasing of the upper. Using shoe trees on a daily basis will make shoes look and feel better, reduce odour and increase longevity. Showing 2 of our total 7 reviews, with an average rating of 5 stars. Read all 7 reviews for Cheaney Cedar Wood Shoe Tree. I purchased the size 7 shoe tree for my size 7.5 brogues, they are a perfect fit and a good investment.